Concord, N.C. (Feb. 16, 2017) – In anticipation of the upcoming 2017 NASCAR season, Roush Fenway Racing will give fans an inside look at the journey to the season-opening Daytona Speedweeks for the team’s PR staff. 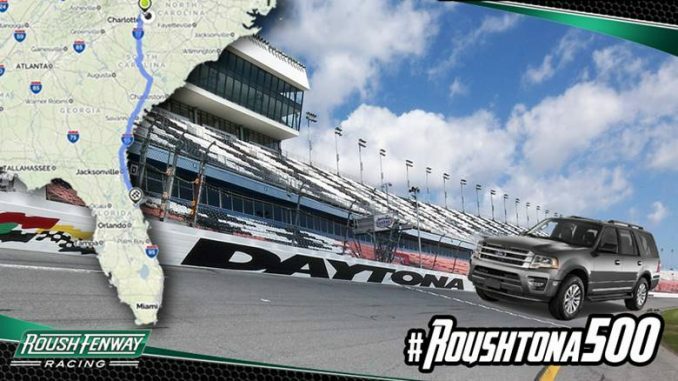 Members of the team will document the road trip from Roush Fenway headquarters in Concord, N.C. to Daytona International Speedway – a journey totaling its own 500 miles. The eastbound and down expedition begins Thursday morning and will culminate in a live view of the team Monster Cup Series haulers parking in the Daytona infield garage. Along the way, fans will be asked to provide suggestions on musical playlists, carpool karaoke, food and sightseeing detours. A comprehensive look at the journey will take place across the team’s social media – with Twitter Q&As, Facebook Live video, Instagram stories and more setting the scene. Roush Fenway Racing is the winningest team in NASCAR history, fielding multiple teams in NASCAR Sprint Cup Series and NASCAR XFINITY Series competition with drivers Ricky Stenhouse Jr., Trevor Bayne, Ryan Reed, Chris Buescher and Bubba Wallace. Beginning its 30th season, Roush Fenway is a leader in driver development, having launched the careers for many of the top drivers in the sport. Off-track, Roush Fenway is a leader in NASCAR marketing solutions, pioneering motorsport’s first team-focused TV show and producing multiple award-winning digital and experiential marketing campaigns. Roush Fenway is co-owned by Jack Roush, the winningest team owner in NASCAR history and Fenway Sports Group, parent company of Major League Baseball’s Boston Red Sox and English Premier League’s Liverpool F.C. 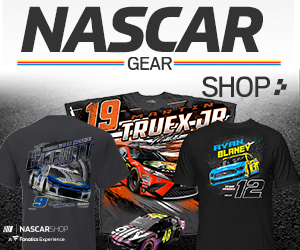 Visit RoushFenway.com, circle on Google+, become a fan on Facebook and Instagram and follow on Twitter at @roushfenway.